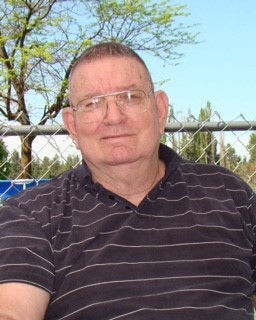 Hildreth Maxie “Max” Fields, 85, passed away peacefully March 7, 2019 at the Spokane Veteran’s Home after losing a hard-fought battle with liver cancer. He was born October 16, 1933 in Baxley, Georgia, the second of three children, to Hildreth Paul and Lorene Fields. After graduating from high school, he joined the Air Force and served his entire military career in the Strategic Air Command (SAC) as a Bomb – Navigation Systems Technician. He was stationed in Morocco, North Africa; Anderson AFB, Guam; Carswell AFB, Texas; Altus AFB, Oklahoma; Lowry AFB, Colorado; Wright-Patterson AFB, Ohio; Loring AFB, Maine; Plattsburgh AFB, New York; and Fairchild AFB, Spokane. He retired November 30, 1976 after almost 23 years of service to his country. He then worked part-time at the Base Exchange and the Four Seasons for many years. He enjoyed bowling, going to Spokane Indians games, camping, taking road trips back to Baxley, getting his private pilot’s license and flying whenever he could. He was also a mentor, through bowling, to at-risk children from the Tamarack Center for several years and enjoyed helping “his kids”. Some of his other favorite things were the Atlanta Falcons, watching westerns and sporting events, listening and singing along with all the grand ol’ country singers and lemon meringue pie! Max was preceded in death by both of his parents; his brother, Wilford Fields; and sister, Madeline Fields (Pittman) all of Baxley, Georgia. He is survived by his four children with former wife, Patricia Foster: Karen (John) Abitz of Spokane Valley, Kellie Jackson of Spokane, Thomas (Susan) Fields of Newman Lake, and Kristie (Greg) Rehmann of Naches, WA; nine grandchildren, September (Samuel) Bustamante, Crystal Valle, Josh Martin, Jenni (Austin) Loucks, Striker (Alysia) Jackson, Brandi Martin, Becki (Brian) Secor, Katie and Bryce Andersen; as well as ten great-grandchildren, Destanie, Alyssa and Sammy Bustamante, Jaiden Drummer, Braeden Jackson, Archer and Elli Loucks, Cael and Harrison Martin, and Henry Secor. Sister-in-law, Nellie Fields of Baxley; nieces & nephews Deloris & Greg Mann, Paul & Michelle Fields, and Shelly & Bryan Horton; and several great nieces & nephews also survive. He was a man of honor, compassion, and Southern kindness and had a love for God, his country and family. He will be forever loved and missed by his children, grandchildren, great-grandchildren, and those that were fortunate enough to have known him. Graveside services will be held Saturday, March 23, 2019 at 11:00 a.m. at Bethel United Methodist Church Cemetery with Rev. Justin McLellan officiating and the rendering of military honors.